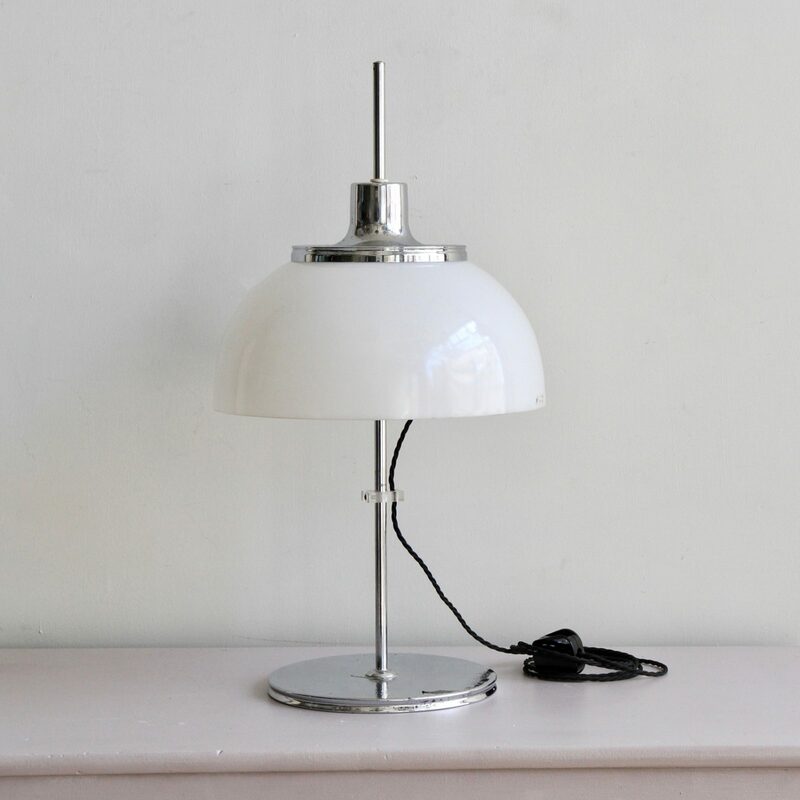 Harvey Guzzini chrome plated mushroom lamp with a white acrylic shade, Circa 1970s. With the original Guzzini sticker attached to the shade. The lamp has a chrome plated top, centre column and base. There is some wear to the chrome which shows the age of the piece. The shade height is adjustable and moves up and down on the central column. The lamp has been sympathetically rewired with black braided cable.